My family and I absolutely love Sprouts because they help my family to be healthier and have all our favorite products. This holiday season Sprouts makes shopping for holiday meals and parties easy and affordable! 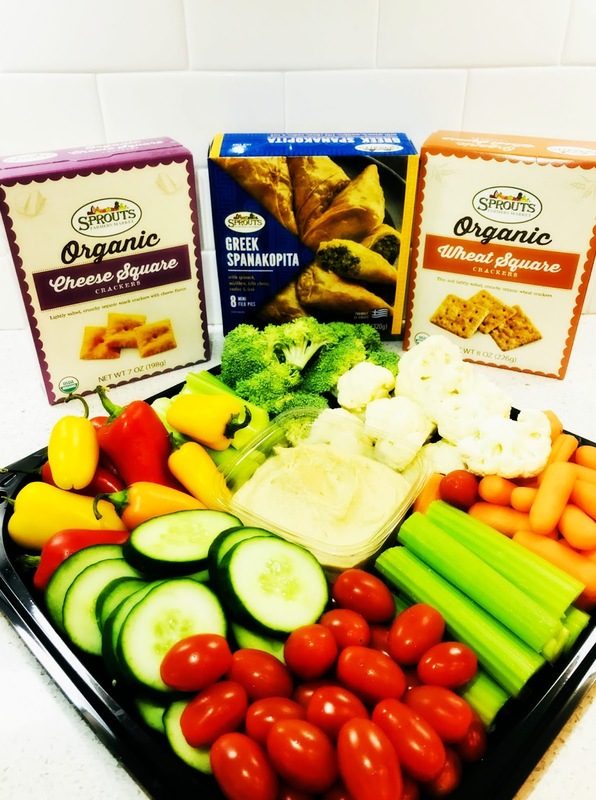 With the holidays upon us, I love that I can pre-order catering trays, centerpiece meats and fully-prepared meals with all of the fixings at sprouts.com/holiday. It's extremely easy! Just order online, select a date and time for pickup and it will be ready and waiting for you. My family and I recently enjoyed a Sprouts Fresh Vegetable Tray for Thanksgiving and boy was it delicious. Each and every veggie was perfectly fresh and the tray looked gorgeous. It was the perfect addition to Thanksgiving and everyone enjoyed it. My family also just discovered Sprouts Greek Spanakopita (in the Frozen section) which makes terrific appetizers for any party. Their full of flavor, flaky and incredibly delicious. We also love Sprouts Organic Crackers that come in a few varieties and go with just about anything. Let Sprouts help with all your shopping for holiday meals and parties, all while staying on budget! Click HERE to find a Sprouts store near you! Click HERE to learn more about Sprouts! Follow Sprouts on social media!